The Drupal is an open source content-management framework written in PHP. From community like eCommerce sites, social networking sites, resource directory site, etc. Drupal web development facilitates organizations to address the requirements for active and secure online presence. There are many benefits of Drupal web development that you cannot ignore. Some of the opportunities the Drupal gives are listed below. The Drupal software is open source that completely free. The systematic code is open, which let the user rebuild it according to their needs. A large number of themes are free, which helps to reduce web development cost significantly. Drupal is highly customizable In terms of features, operation, layout, and design. which provides number of choice for developers and designers for addressing clients’ requirements. API support for Drupal, developers can create own custom modules by using great documented API. The extensive API support Facebook, Google Analytics, Twitter, Google Apps, Linkedin, Pinterest, YouTube, etc. It’s another major benefit of drupal development that can’t be ignored for sure. SEO plays an important role in a company’s online marketing/digital marketing strategies. Drupal enables companies to develop SEO-friendly websites. 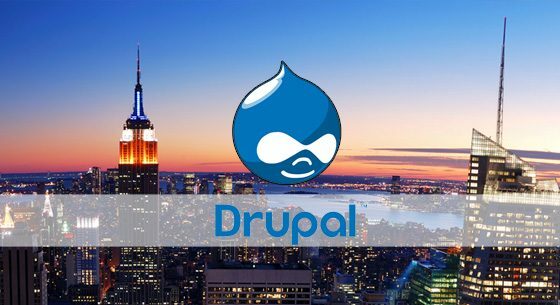 Drupal platform provides a great flexibility of displaying the content that search engine likes and in turn face more traffic to a website. For a decade the mobile user is increasing day by day. Drupal is mobile ready platform means it allows the developers to make the site flexible for both Mobile and desktop user. This plays a major advantage for small businesses and helps them to generate more leads. Drupal is an enterprise-class CMS, which allows the developers to easily integrate it with other applications like SAP, php etc. This platform is flexible, reliable, manageable, secure and it can be used by huge or small organizations. Omkarsoft is a Drupal web development company in Bangalore. Our company is based in India, which allows us to offer very affordable rates. Our motto in business is always to meet client expectations and project deadlines.